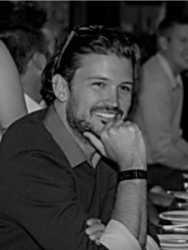 My second speaker interview is with Jason Reeve from Ancestry. We have asked him a set of questions to learn more about his interest in archives and history. Questions are in italics. I represent Ancestry. My background is actually ‘Information Technology’, but I have a great passion for Family History and it led me to working with Ancestry. I was able to connect with dozens of extended family members who lived ‘ just around the corner’. I have a much larger, more connected family across Australia and the world as a result and I’m truly grateful for that. I love the passion. When you’re involved with family historians, the passion is clear and powerful. Everyone is working towards the same goal – understanding their story. That shared journey we’re all on creates a powerful community which is an absolutely please to be a part of. 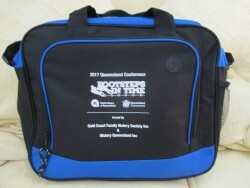 2017 Conference satchel – wonder what we will have for 2019? Yes, I’ve come along each year since working with Ancestry. I find it an excellent event with great speakers and lots of engagement. As usual, I’ll be speaking about using Ancestry & AncestryDNA for your family history. I keep it simple and easy for people to follow so that you can learn some quick tips to enhance your family history research. I hope my talk will help improve the way the attendees interact with the Ancestry website and ultimately that they have a more enjoyable, more successful experience when using Ancestry to research their family history story. For those new or unsure about the AncestryDNA product, I seek to simply explain what it is, how to take the test and what to do with the information you’re provided with. Everyone who attends is on their own personal journey of discovery. A large event like this allows people to seek out the resources and guidance they need to help them take the next step. Novice or experienced, and event such as this caters to both. I do! Brick wall? Keep searching, weekly. On as many platforms as you can and in as many ways you can. Simply changing a single work in your search may surface the result you’re looking for! Or maybe just this week, we’ve launched a new collection that will solve your mystery. Just keep looking! Ancestry has both a Twitter and Facebook account – send us a message any time! I would go on a headstone preservation mission! Saving, restoring and future-proofing the headstones of our earlier pioneers and ancestors! Thanks Jason for those answers and we all look forward to catching up with you in person at the Waves in Time conference in May. Thanks Fran and Valerie for the feedback. Yes it will be good to hear him speak about the new features and I have found Thruline really good for my Cornish lines.